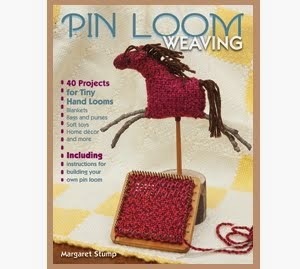 Winter is a great time to work on really big pin loom projects. After months of weaving the separate squares there comes a point where the project needs to be assembled. What better time than when the days are short and it feels great to hold a lap full of blanket? 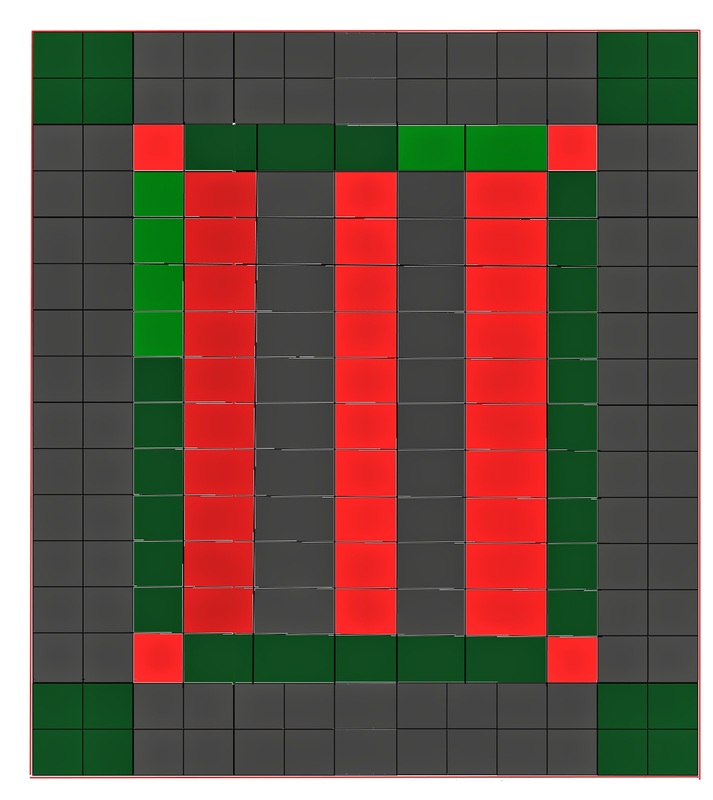 This is one my favorite Amish quilt design patterns. I believe that the Amish quilt is one of the preeminent gifts of American crafts and design. I have been able to reflect this design style into a number of woven blankets. These blankets are not quilted, but like all pin loom work, they are pieced. The Amish Bars pattern calls for a few colors with large swathes of black running through it. In order to express the original color variation brought about through the use of a variety of pieced cloth, I purposefully changed colors several places. This also adds some tension to the design, keeping it from being too rigid. 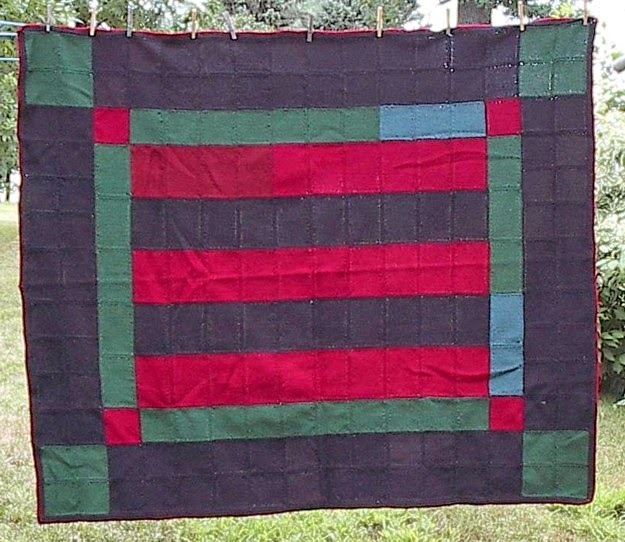 The Amish Bars blanket in the sample shown here was constructed with 120 - 4" x 4" squares and 64 - 4" x 6" rectangles. 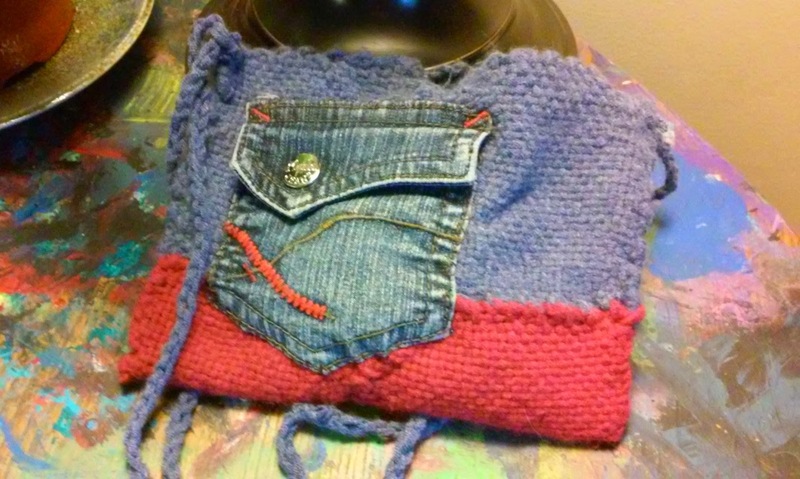 Each square and rectangle was finished with a single crochet edge and the pieces were joined with a whip stitch. Black or charcoal yarn - 1160 yds. Green yarn - 440 yds. Alternative green yarn - 70 yds. Red yarn - 340 yds. Alternative red yarn - 150 yds. You can find the yardage requirement for most of the popular pin looms on the Pin Loom Essentials page. 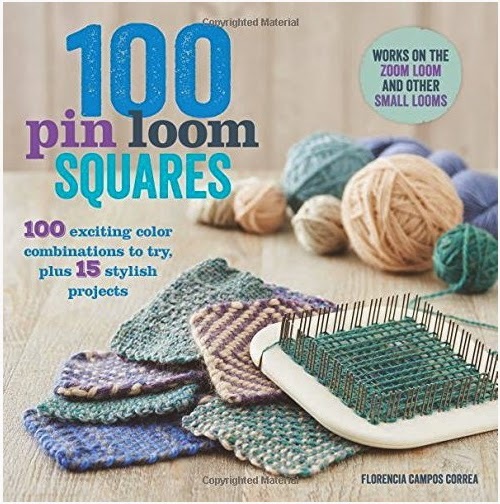 Is there any pin loom fan out there who has not yet checked out the new pin loom book-- 100 Pin Loom Squares: 100 Exciting Color Combinations to Try, Plus 15 Stylish Projects by Florencia Campos Correa? 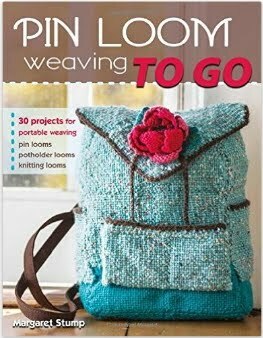 I am excited about the book because it offers directions for tabby and a variety of patterned weaves. It has suggestions for using the pin loom as a regular warp/weft loom, which is necessary for certain kinds of patterns, like houndstooth or diagonal weaving. I can see this being a great resource for building ideas on patterns for projects. I am hoping that Pin Loom Weaving and 100 Pin Loom Squares are just the beginning trickle to a flood of great new pin loom weaving books! Happy New Year! Its been a busy season here with the introduction of pin loom classes. After years of weaving on my own, it has been enormous fun to play with pin looms with other people. Pin looms have brought me a lot of joy and its twice the fun to see others enjoy it too. I am learning a lot from my students. I have had the opportunity to work with a number of moms and daughters and have come to realize that kids can take to pin looms as quick or quicker than adults. Here's the proof. Ellie T., age 11, was in my class a couple months ago. Here is her first purse. 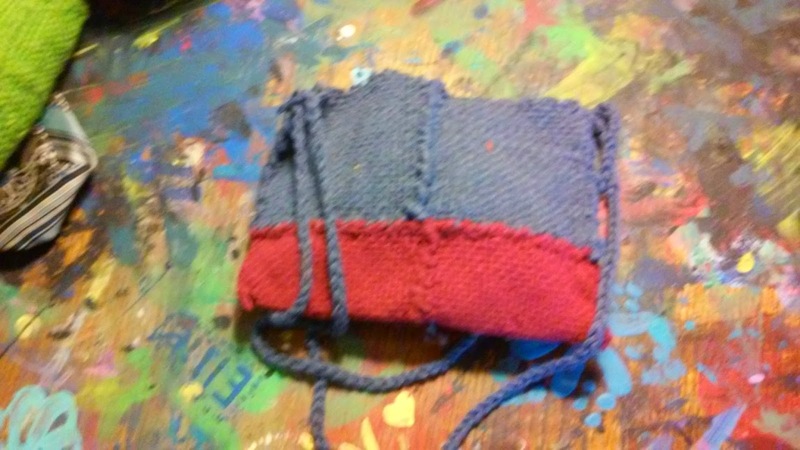 The purse was made with 6) 4"x 4" pin loom squares (love the colors) with a braided string handle looped on each side of the purse. Of course the shining feature is the jean pocket-- which works beautifully to contrast with the woven fabric of the purse. I should mention that we did not cover purses in the pin loom class. While I hope that my book, Pin Loom Weaving, was helpful to her, this is Ellie's own design. I will leave it to each of us to reflect on our capacity as artist or craftsman at the age of 11. I know that I did not make anything half as well thought out or well done until I was considerably older than 11, maybe more like 40. Ellie, thank you so much for sharing your work with us.